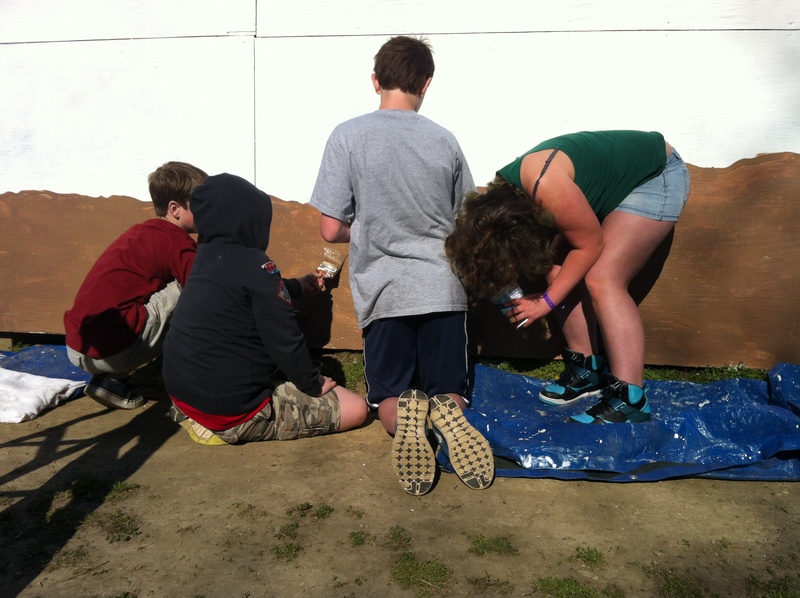 This week students started working on priming and painting the background of the new kickball wall mural. 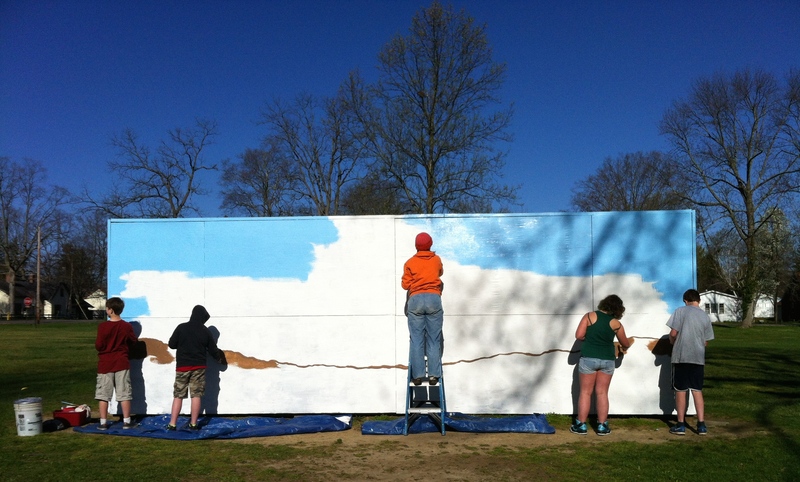 Visiting Artist Tricia Tallman is leading the students through the process of painting the mural which will be titled, “Grow Peace”. Sixth grade students contributed sketches and ideas for the mural during brainstorming sessions the last couple of weeks. Mrs. Tallman then consolidated the students’ ideas into a few potential designs for the mural. 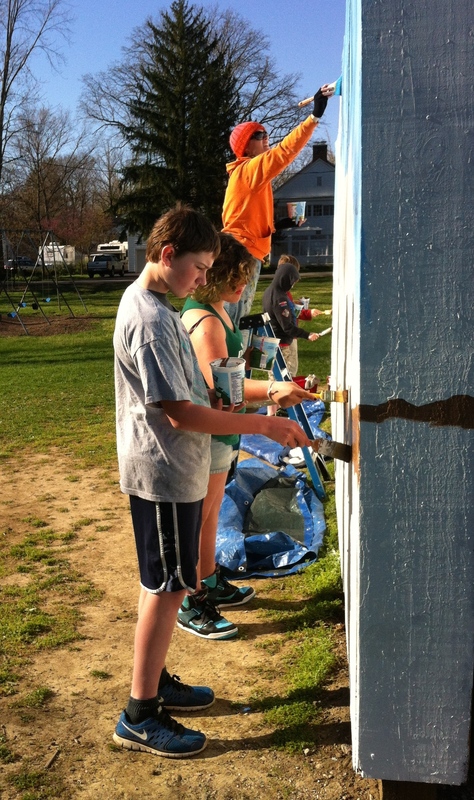 Ultimately, the “Grow Peace” design was decided on because of the strong message and the many components that students could contribute including the Peace Dictionary Words that will be painted on the bottom or ground portion of the mural. Sixth grade students previously made stop motion animation films featuring these Peace Dictionary Words during their technology and library class with Mr. Hurwitz, Mr. Gudgel, and Ms. Paul. 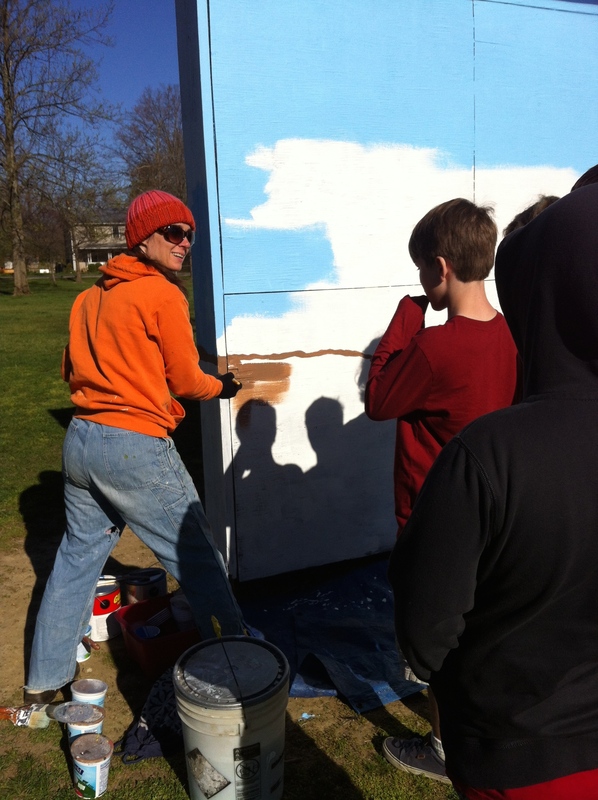 Listen to Visiting Artist Tricia Tallman share a brief description of developing the mural design and check back over the next few weeks to watch the students’ progress!